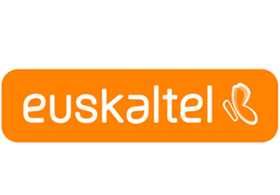 Euskaltel is the leading telecommunications operator in Northern Spain, providing fibre optics and telecommunications convergent services (Broadband, Mobile and landline telephony and Pay-to-view television) in the Basque Country and Galicia. Euskaltel is interested in startups that work in cloud computing, artificial intelligence, big data and cybersecurity fields. Its research arm is develop new solutions in the broadband and digital contents fields.